In a recent post on The Elder Scrolls Online’s official site, the devs went to work answering a swath of common questions regarding the upcoming MMO. The most interesting answer, however, revolved around the use of magic. Much like its single player predecessors, a player’s build will revolve around where they spend skill points. As with game’s like Skyrim, one can simply bypass the schools of magic for mastery of armor and weapon skill trees. Stealth was also mentioned, and will function similarly to stealth mechanics in other MMOs. After a player allots their skill points as they see fit, grouping for dungeons can be done through a system where one chooses a role to fill. With this system, players will hopefully be able to vary their abilities, creating all sorts of hybrid classes. 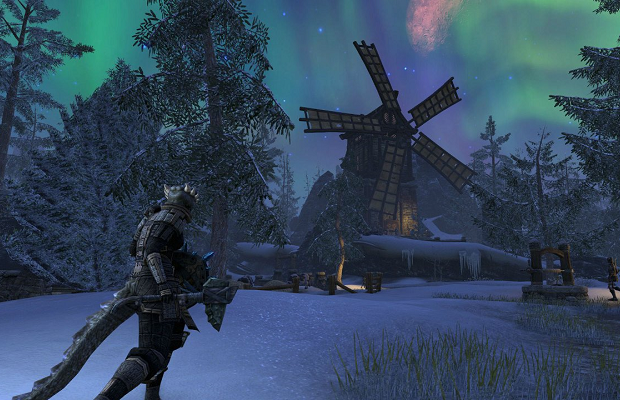 The Elder Scrolls Online is scheduled to hit the PC, PS3, and 360 in early 2014.